We strongly encourage setting aside any thoughts about “the right way” of getting married – except that which is right for you. This is your day, your wedding; it need not be like any other. You surely want your personality reflected throughout your wedding. And because you’ve chosen to check us out, we imagine that you are looking for a relatively stress-free ceremony that will be talked about for years to come. Of course, you also want everyone to feel a part of it and to have a good time. So every part of your ceremony will be designed with special consideration for you. Your wedding will be treasured and remembered. If will fit your personality in a wonderful way. It will be comfortable. We’re experienced in many traditions, including Philippine, Irish, Scottish, Spanish, Mexican, Jewish, and other wedding customs. We’ve included many rituals: unity sand/candle, cord/coins/veil, Ketubah/chuppah, breaking the glass or dish, lock/keys, wine/winebox, roses, salt, hands, handfasting, ring warming, jumping the broom, butterflies/doves, guest candles, readers/soloists/dancers/participants, Canadian signing, and countless others. We’ve designed family ceremonies that include vows to and from the children. We’ve conducted weddings that featured renowned Las Vegas performers, that have been televised, that were on the “big stage”, and that had bridal parties as large as twenty bridesmaids plus twenty groomsmen. We’ve performed weddings on mountain tops, beaches, dry lake beds, in public parks, in the midst of crowds at Las Vegas landmarks, restaurants, and on the Court House steps. We’re especially adept at small, intimate weddings, though we are equally able to handle large, complex weddings. We’ve facilitated couples wanting to stand before unlicensed but greatly loved friends or relatives, and still fulfilled necessities of the law. We’ve worked with family pets as ring-bearers. 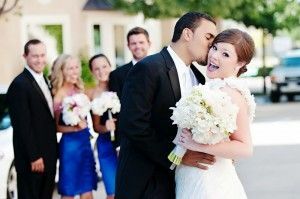 We’ve helped keep dilemmas of interfaith, blended family, wounded past, and unexpected tragedy from ruining ceremonies. We’ve performed weddings in seven states and have national/international credentials. When off to ourselves, we joke about skydiving weddings – though please don’t put us to the test with one of these. Because, at least when it comes to jumping out of planes, we’re not sure we’re willing to translate “in theory” into “we’ve done it”. Please notice the box on this page titled Start Your Planning. When you sign up, you’ll have access to our exclusive wedding planning materials. Then we can begin to construct your ceremony together or, if you choose, we’ll be glad to compile a sample from our own experience for your approval. Call Pastor Ed at 702.580.6589 if you’d like even more suggestions and encouragement. We chose to name our company Casual Elegance because that’s the way we work. Pastor Ed is easy-going and easily humorous. Whether casually elegant or elegantly casual, you’ll be able to relax and enjoy working with us.